I stumbled upon an interesting initiative on the Internet. 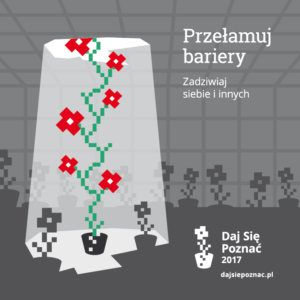 “Get Noticed!” (PL, dajsiepoznac.pl) makes people develop project and write at least two posts about it every week. I think it’s way too much :), but I liked the challenge. Why not try? I find this design appealing. I start this blog to finish a project I take up every year with no results: a city-builder game like Sim City 4, Cities: Skylines, etc. With no professional experience in C++, desktop apps, OpenGL, multithreading and nothing you need to write a game. My principal aim is to learn, but I’d like to finish a very very very simple working prototype by the end of May for that action finals. You can follow Konstruisto (Esperanto for the builder) development on konstruisto.com, and the posts for “Get Noticed!” under the #DSP2017 tag. More details shortly. The blog itself needs a bit of grooming I hope to do in the following weeks. Maybe I will create my WordPress theme? This is the very first post I’ve written. I already did something new! This entry was posted in Konstruisto, Tech by Krzysztof Antoniak. Bookmark the permalink.